Leading oil and gas company Perenco has become the first operator to install a digital safety sign on its offshore oil rigs. The custom designed display from specialists Messagemaker Displays relays continual updates on critical safety information and also features a temperature window. One of the largest exploration companies in the world, Perenco is involved in operations both on- and off-shore and is represented in 15 countries across the globe. The new sign, which is positioned adjacent to a connecting door, features a message of the day, comprising a single scrolling line of text in bright red LEDs that provides a crystal clear display, viewable from a distance and on approach. 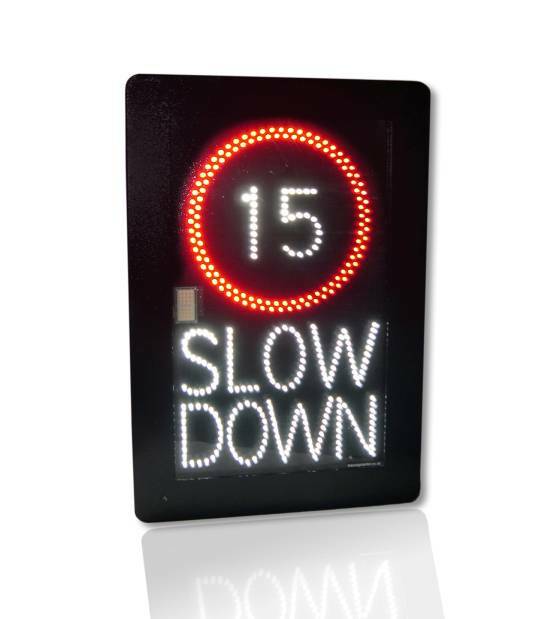 Supplied with all the necessary software, the system allows a series of messages to be programmed into the display, offering an instant update on key safety issues. A dedicated temperature window enables staff to monitor changes in local conditions at any given time, an important safety requirement aboard the company’s rigs. Colourful and visually striking, the wall-mounted 1200mm x 400mm aluminium display is finished in a white powder coating, personalised with custom-produced vinyl graphics. 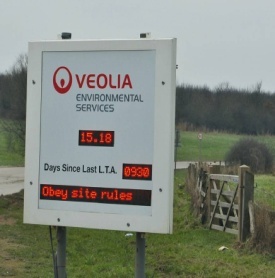 Incorporating a daylight readable display, the plug and play sign is viewable from angles up to 160 degrees and offers a durable, maintenance free solution with a typical life of not less than 100,000 hours. For more information on Messagemaker’s safety sign solutions please call 01737 774738 or send us an enquiry.